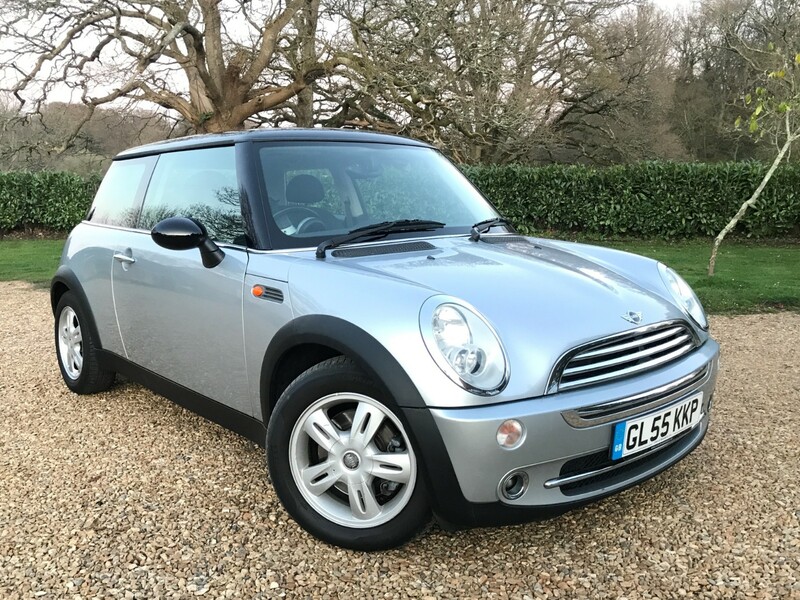 We are delighted to offer this pretty, high spec MINI that benefits from £2,600+ worth extras including air conditioning, panoramic glass sunroof and front fog lights, all of this is complimented by a great service history record, see images for photos of the service book. Our low mileage MINI will be sold with a brand new MOT and it’s finished in the metallic Pure Silver with contrasting gloss black roof, spoiler and mirror caps, this MINI is capable of up to 54 miles per gallon, it was serviced less than 1,000 miles ago in January 2019 and sports the great looking optional set of 5 star ‘rocket’ alloy wheels that are wrapped in tyres that have plenty of tread remaining, the glass roof brightens up the cabin area and the ride is really enjoyable one, with many critics preferring the more supple suspension of the One over the harsher ride of the Cooper, the MINI comes supplied with a set of carpet mats and is ready to be enjoyed. Please supply us with your drivers license in order to test drive the vehicle and viewings are available by appointment 7 days a week at hours to suit you, accepted methods of payment are cash or a cleared bank transfer, sorry we do not accept offers but check the competitiveness of our cars almost daily to ensure you are getting superb value from a highly rated dealer, you are able to reserve this MINI from as little as £100, please watch or request the HD YouTube video before enquiring and read our excellent 90 plus reviews, we are a Hampshire Trading Standard Buy With Confidence scheme business.